As consumers become increasingly concerned about the contents of the products they use, government regulations regarding proper labeling of products have increased. In response, manufacturers are taking steps to prevent mislabeling of products, and some manufacturers are turning to vision inspection systems for the answer. 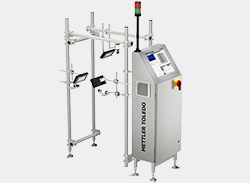 A vision inspection system will accurately identify mislabeled products, remove them from the production line and alert system operators of the error. 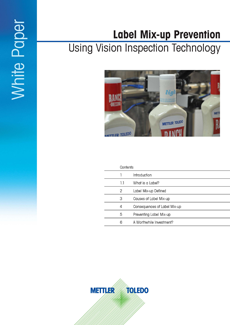 Download our white paper detailing government labeling requirements and how vision inspection is a crucial part of any mislabeling prevention program.